The Hawaiian island of Kauai offers five primary locations for travelers to the area. The East Side of the island is also known as the “Coconut Coast” for its large abundance of coconut trees that grow wildly through the area. Kauai’s East Side has a quiet atmosphere that many people seem to love. Located here is the Wailua Rivers State Park, which has a hand carved Hindu Temple as well as numerous ancient artifacts. Lihue is a very popular place to stay on Kauai, simply because it is the center of the island and the place where many people land upon first arriving. One of the more popular locations in this area is the George N. Wilcox House/George Farm Homestead, which has been turned into a museum devoted to the history of plantations on the island. 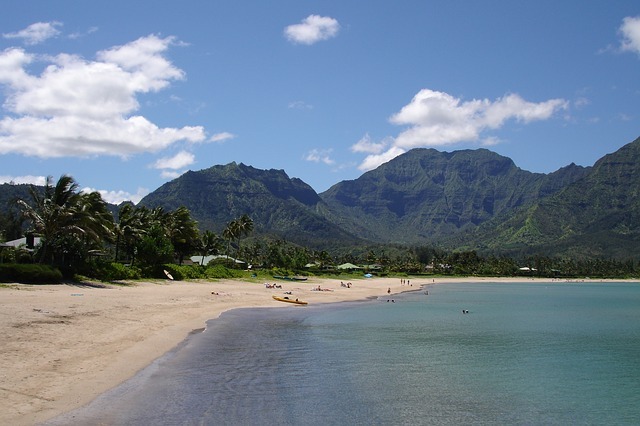 Lihue also has the most popular beach on the island, Nawiliwili Park. Other visitors might prefer to stay on the famous North Shore, popularized in movies and on television. The North Shore is highlighted by an abundance of tropical landscaping and gorgeous, sandy beaches. It is the perfect place for outdoor enthusiasts with its myriad of golf courses, surfing opportunities, and hiking trails. In contrast to the North Shore, is the South Shore of Kauai. The South Shore has gorgeous beaches and views, but is known for its large number of all inclusive family resorts. Many people chose to stay on the South Shore for the convenience of staying in a resort community. Everything you could possibly want or need, is located only steps from your hotel. Or head to Kauai’s West Side. This historic area is home to Waimea Canyon, a place Mark Twain once dubbed “The Little Grand Canyon”, and many historic buildings. The West Side is a popular area for anyone interested in the natural beauty, and history of the island. Every area on Kauai has its positive and negative attributes, but it really depends on personal preference.